The Tiffany of Bal Harbour is an eighteen story building that offers enchanting eastern views of the Atlantic Ocean from its one, two, three and four bedroom units. It offers the quintessential living experience in an upscale village where the ambiance always reinforces South Florida's own breezy lifestyle. The yard of the Tiffany is essentially the beach itself so whenever you feel like working on your suntan or just spending the day enjoying the atmosphere, you only need to head down from your Tiffany condo residence and walk to the sunny sands. The pool is another great spot or you can visit the fitness center and media room. 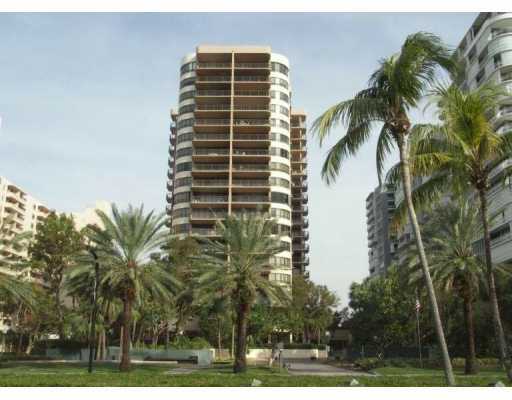 The 135 Bal Harbour condos for sale of Tiffany have 1,957 to 3,943 square feet of living area. Do you like matching your clothing to the latest trends? Just visit the Bal Harbour Shops near Tiffany, where you can shop in boutiques by names like Versace and many more. More great shopping and excitement can be found in Lincoln Road and Ocean Drive to the south of Tiffany in Miami Beach. Aventura, Sunny Isles Beach and the Downtown Miami area are all close to Tiffany.